SuperMannan is a groundbreaking discovery for women’s health. 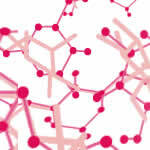 SuperMannan is a patented* natural product that contains two sources of mannan from dried deactivated yeast. Because of the importance of mannan (as in mannan oligosacharrides), we call the product SuperMannan. You can learn more about how SuperMannan is different from D-mannose because it uses mannan for superior results. We put SuperMannan through many tests for safety, purity, and efficacy, and it more than passes all federal and state requirements. SuperMannan is gluten-free, vegan, sugar-free, lactose-free, dairy-free, wheat-free, and 100% natural, so most women can take it unless you have a yeast allergy. Learn more! Order our eBook about natural remedies for your urinary tract and read a summary of the case series study of SuperMannan in the peer-reviewed journal UroToday. Take a look at the testimonials and Amazon reviews to learn how SuperMannan has helped women. Important: take according to directions. 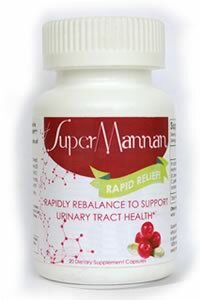 Take one capsule at first sign of need for rebalancing to support urinary tract health. Then one capsule every 20 minutes for 2 hours (7 capsules during first 2 hours). Take with plenty of water. Then take one capsule 12 hours later, and one more capsule in 24 hours later(total of 9 capsules in 24 hours). Do not take if allergic to yeast, or if pregnant or nursing . As always, consult with your doctor about taking this or any supplement.